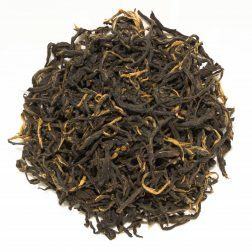 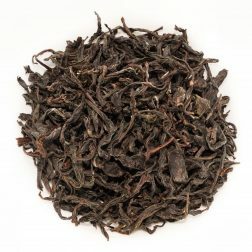 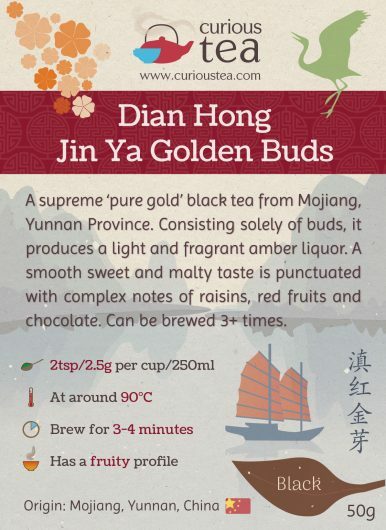 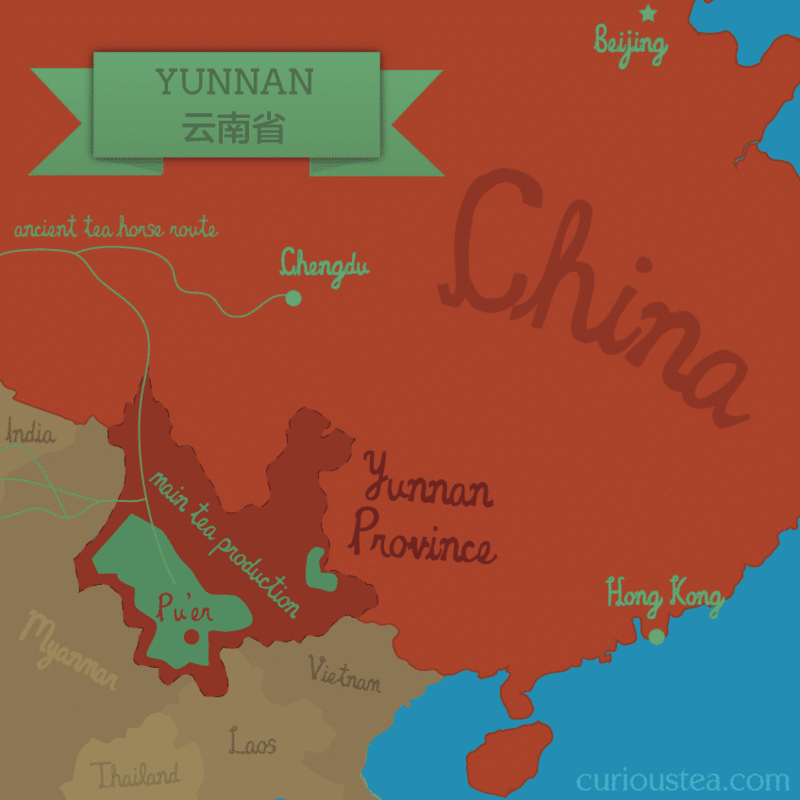 Dian Hong Jin Ya Golden Buds is a supreme ‘pure gold’ black tea from Mojiang Hani Autonomous County in Yunnan Province. 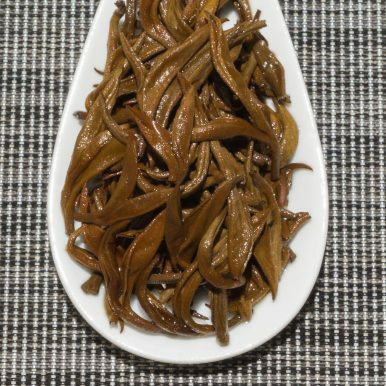 Consisting solely of buds, it produces a light and fragrant amber liquor. 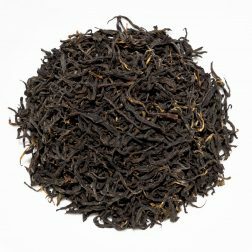 A smooth sweet and malty taste is punctuated with complex notes of raisins, red fruits and chocolate. 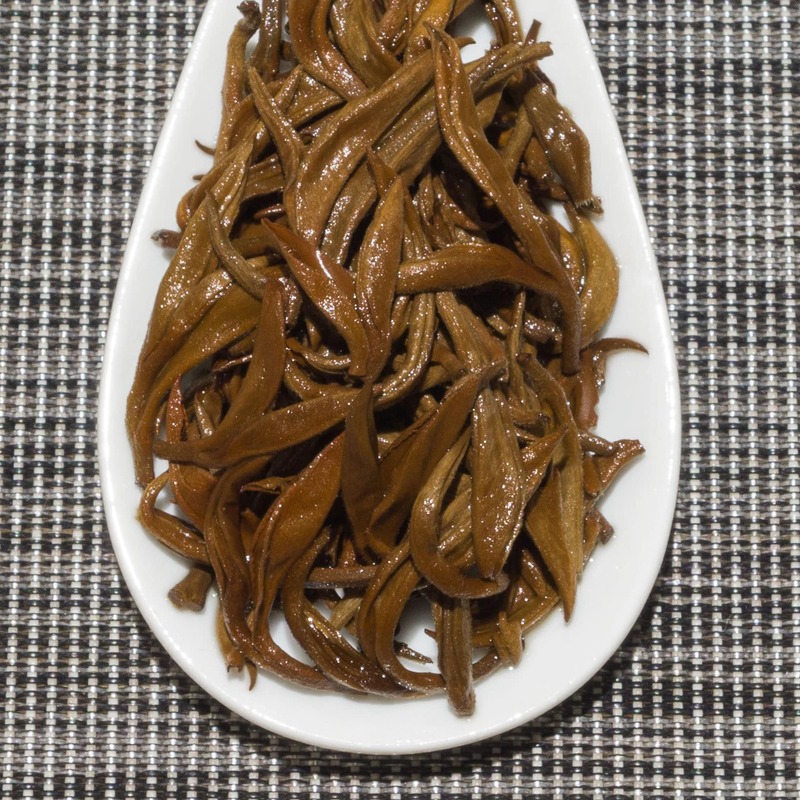 This tea was plucked and processed in spring 2018 (late March). 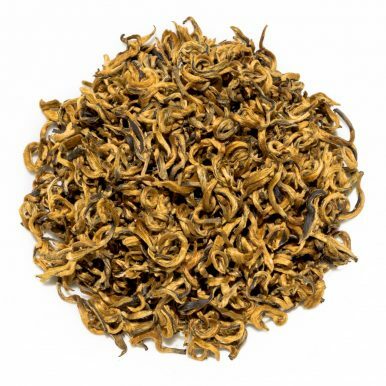 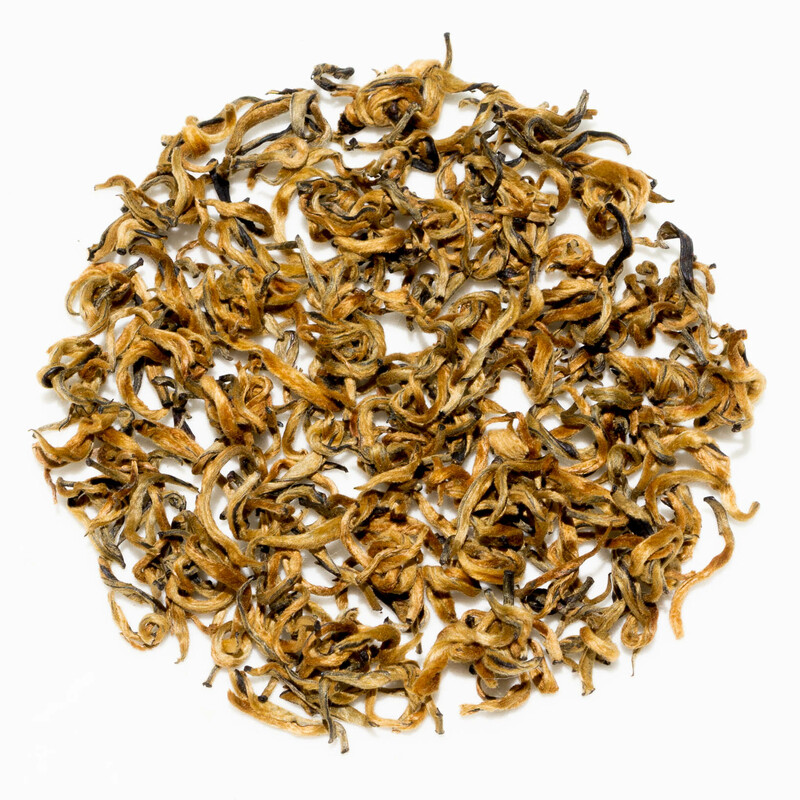 The dry leaves consist solely of buds and have a bright gold colour to them with a lovely malty and sweet aroma. 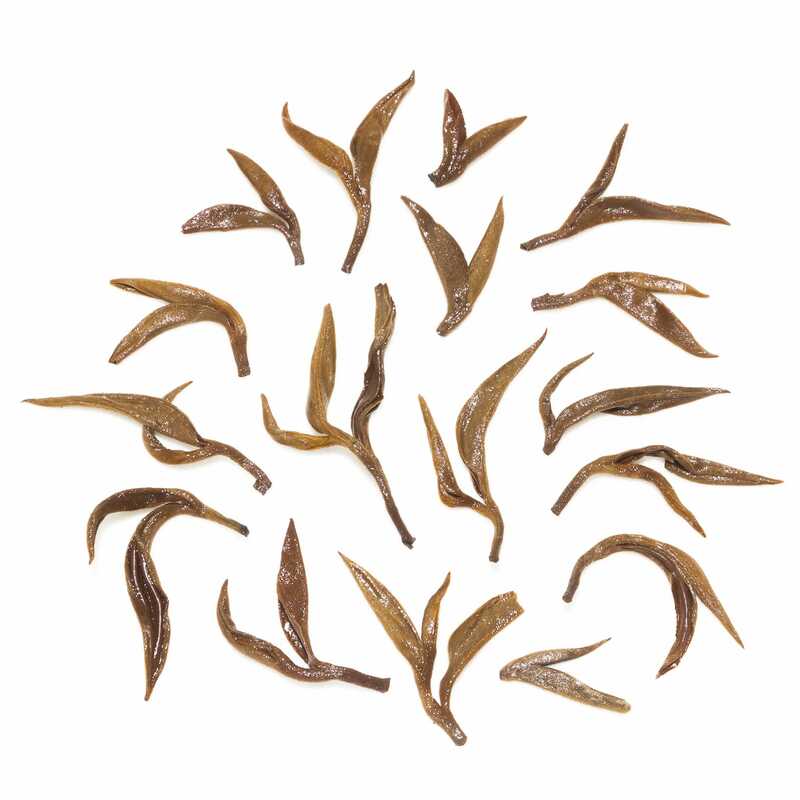 When brewed, you can see the dry leaves turn into most attractive full buds. 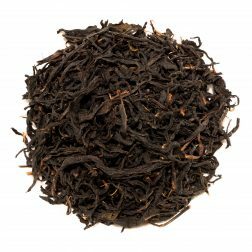 The bright amber liquor produces a light to medium strength liquor with an attractive sweet malty fragrance. 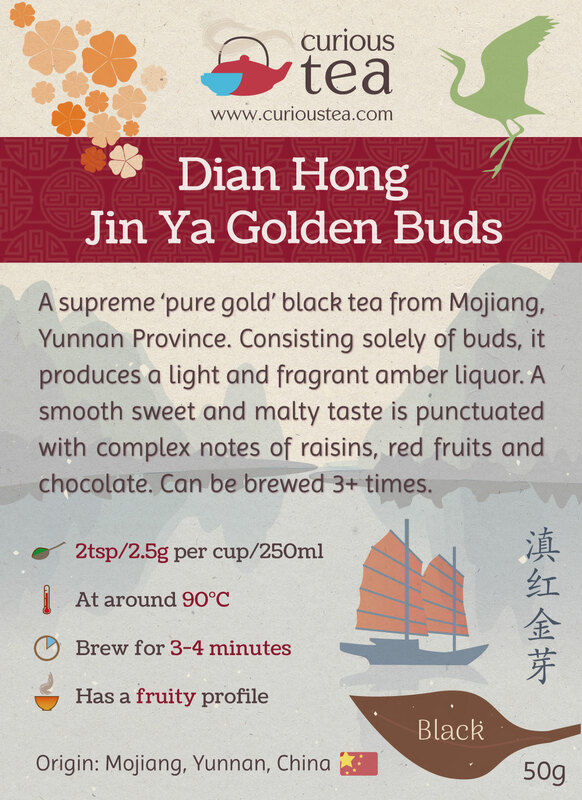 The flavour of this Dian Hong Jin Ya Golden Buds black tea is also sweet and malty, with complex notes of raisins, red fruits and chocolate. 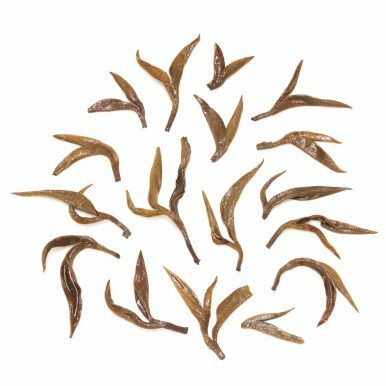 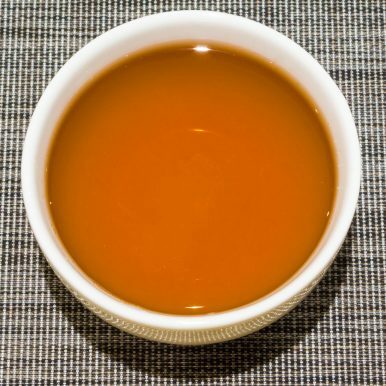 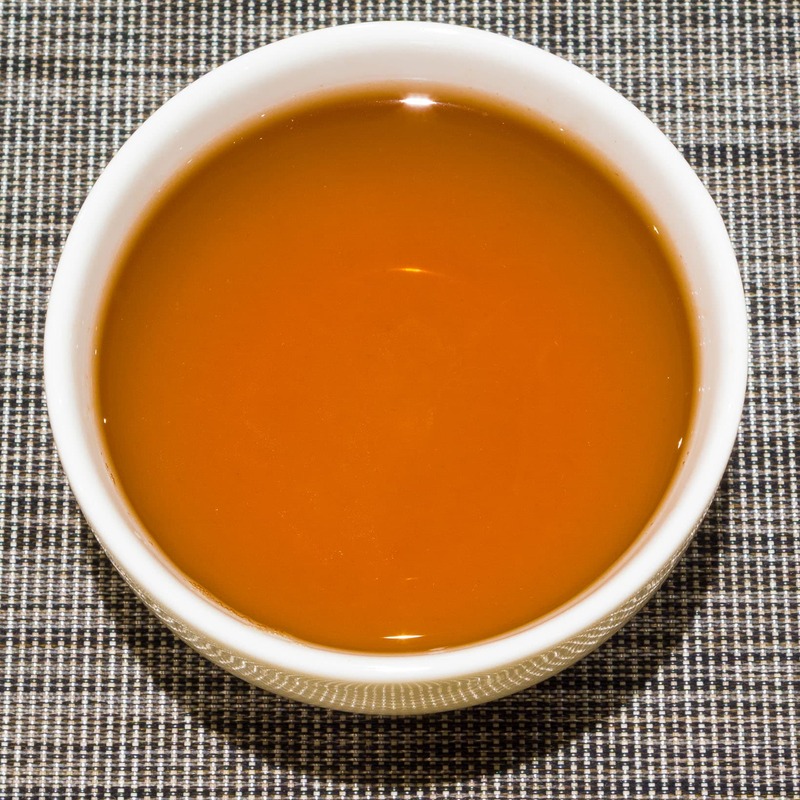 This Dian Hong Jin Ya Golden Buds black tea was first featured in our September 2016 Curious Tea Subscription Boxes.